Taskstream provides support for a study by Inside Higher Ed and Gallup revealing how academic leaders perceive and deal with the challenges facing higher education institutions in the U.S. 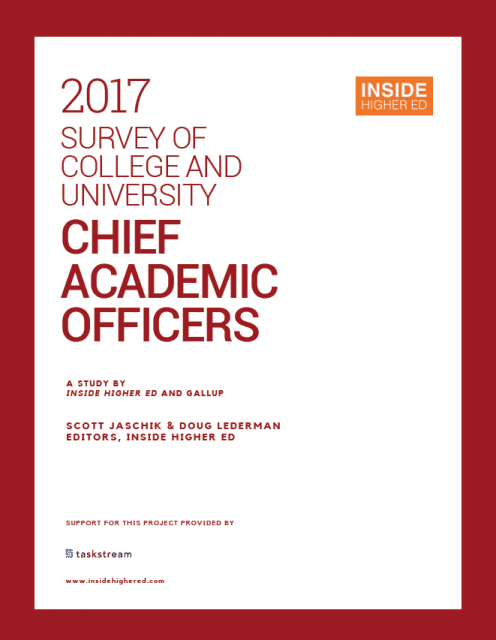 The 2017 Survey of College and University Chief Academic Officers explores the views of provosts and other academic leaders on a range of current issues, including: the impact of assessment efforts on teaching and learning, the future of the liberal arts, and how provosts/CAO’s assess the “academic health” of their institutions. The survey was conducted in conjunction with researchers from Gallup and made possible, in part, by support by Taskstream.